VR First, a global initiative dedicated to helping institutions innovate with virtual and augmented reality, has partnered with a number of VR companies to put together an array of products for academic use. The Academic Purpose VR Bundle is designed to "lower entry barriers for students, developers, entrepreneurs and researchers to access the latest VR/AR technologies," according to a news announcement. Access to expertise from VR First's network of industry partners. 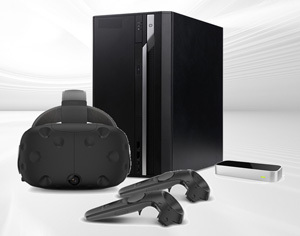 The Academic Purpose VR Bundle is part of VR First's Regional Growth Program, a set of VR-enabling services such as facilities setup, training, mentorship and online competitions. VR First plans to add additional hardware and software to the bundle in early 2018. For more information, visit the VR First site.